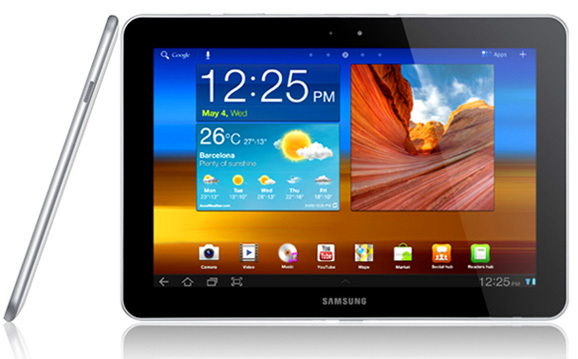 Samsung galaxy tab 10.1 holds 2nd place in the top 10 list of best tabs. It’s on the course with apple’s ipad2 with its impressive apps and design. This tab is one of the thinnest and lightest tablets on the market. Right and left side of the tab is provided with two speakers for stereo output. Meanwhile, there’s lacking of modern amenities like HDMI port and microSD card slot. Another thing we care about is the camera; 3.2 MP camera with autofocus and LED flash located in the rear panel. Front camera with 2MP gives you the opportunity for instant SNS sharing and more. The home screen consists live panel which gives you instant access to e-mail, image galleries, and social websites. Multi tasking with commonly used mini apps like calculator, calendar pen memo, and world clock are available. Like a award for readers, Readers Hub allows you to access millions of magazines, newspapers, book titles in multi language. Moreover, tab includes Google apps like Gmail, YouTube, Google places, Google latitude which allows you to Do more with Google!.